Ros Bandt Variations II after Cage. The piece investigates the changing identities and cross cultural influences brought, experienced and exchanged by the two artists in a foreign place, Wakayama Japan, represented in the colours of red and blue hair. Their encounters and exchanges are interpreted through a range of media, paper, red and blue hair dye, suspended paper hair paintings which are amplified, electro-acoustic spatial sound, illuminated coloured scores, digital images, installation and live action sound painting and performance. Festival of new sound performance. The sum of the parts yield a series of mutations not possible without the collaboration. The created work will change and mutate in each cultural setting. The mediated paper and hair will render these differences in each performance as a reminder of the powerful role culture, time and place play in our daily lives. Kami. The two artists created the piece as guests of Wakayama university working in a studio on the 6th floor of the Forte building in Wakayama Japan. This common foreign context sharpened the experience of exchange. After seven days of experimentation, photography, sound recording, filming, and amplified sound hair painting by the artists, it was found that the Japanese word for paper and hair is shared, Kami. The rendering of identities through different media had left the visual traces on the paper, and the sound in the air and memory, the hair and paper becoming one in a time space shared by two people. 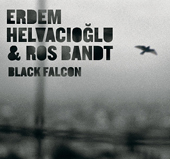 ISTANBUL Black Falcon New CD, Ros Bandt with Erdem Helvagioglu, Published by Pozitif Muzik Yapim. The new album, “Black Falcon”, by two composers who have both had major prior international accomplishments and collaborations, Australian Ros Bandt, an internationally renowned sound artist, and one of the most talented Turkish contemporary composers, Erdem Helvacıoğlu, has been released in December 2010 by Pozitif Müzik Yapım. In the seven tracks, they use an improvisation technique they call “Momentary Composition” which allows them to create a strongly atmospheric and dramatic soundscape. The album has musical elements of many genres like new music, ambient, electro-acoustic, modern jazz. Black Falcon is a cinematographic piece of work, an arresting listening experience. Erdem Helvacıoğlu is one of the most renowned new music composers of his generation in Turkey. His music has been performed and broadcast all around the world, including many prestigious festivals and he has received numerous international electronic music awards including prizes from Luigi Gussolo, Insulae, Electronicae and MUSICA NOVA Electroacoustic Music Competitions. Erdem Helvacıoğlu has been called “the genius of unusual sounds” by the prestigious German magazine Ragazzi. His album, “Altered Realities”, was included in the“Best 10 albums of 2007” lists of international magazines such as All About Jazz, Culture Catch, Textura, and Cyclic Defrost. The album has been positively reviewed in over a hundred international magazines and newspapers, Wire and Gramophone among them, and Helvacıoglu has been called as the creator of the “post folk” genre. His latest album “Subcity 2064” was included in the Guitar Player Editors’ Top Three CDS list September issue along with artists such as Ozzy Osbourne, Dweezil Zappa, Jeff Healey. Richard Marcus, a blog critic has also chosen the album as one of the best of 2010, in its own genre. On the list there is Lou Reed and Laurie Anderson too. Ros Bandt is an award winning international sound artist known for her luminous and hauntingly beautiful music created from her unique soundpalette, original instruments and spatial timbres. She has pioneered sound sculptures, interactive installations and site specific artworks since 1977. She is at once composer, performer, visual artist and sound culture researcher. Her award winning works have been commissioned in Europe, Asia and America, including the Paris Autumn festival, the West Deutsche Rundfunk and the ORF Austria. 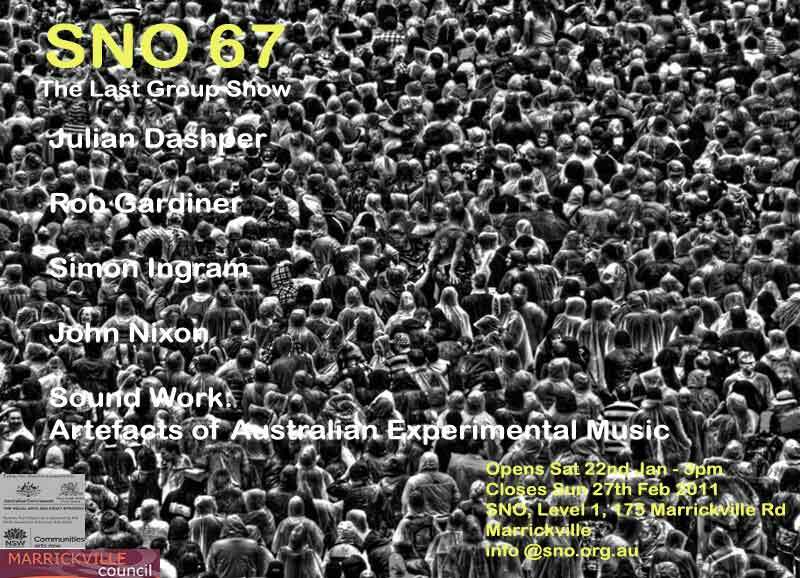 In Australia she has won the sound art Australia prize and was the first woman to be awarded the Don Banks Composers fellowship, Australia’s highest honour. In 2010-2011 she is touring and living in Europe designing site specific works in the Yerebatan cistern, Istanbul, Turkey and collaborative performance art at the Tube, Munich, Germany. Her original works are published on Move Records, Sonic Gallery, EMI, New Albion, Wergo and Pozitif Music. Her recent book Hearing Places is available from Cambridge Scholars Publishing, UK. She is also founding director of the online multi-media gallery, the Australian Sound Design Project documenting sound designs in public space in Australia.